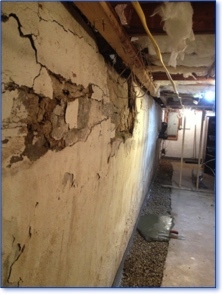 If the existing damage to a foundation wall is significant – with shearing, horizontal cracks, and bowing greater than a couple of inches – then a complete rebuilding of the wall may be the only option to effectively deal with the problem. 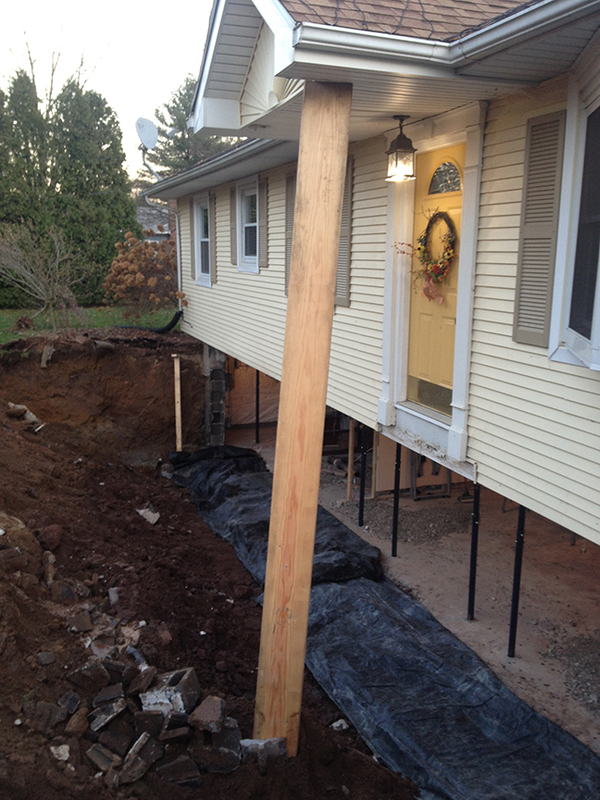 Rebuilding a foundation wall is a multi-step process and begins with removing the yard around the failing foundation wall, including walkways, steps, plantings and everything else. 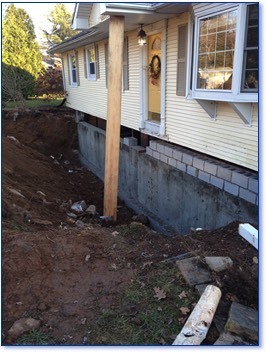 Then the foundation itself needs to be excavated in order to provide clear access to the wall, with the removed soil saved for later re-use. Temporary supports, usually in the form of adjustable lally columns, are put in place before demolition of the deteriorating wall begins. 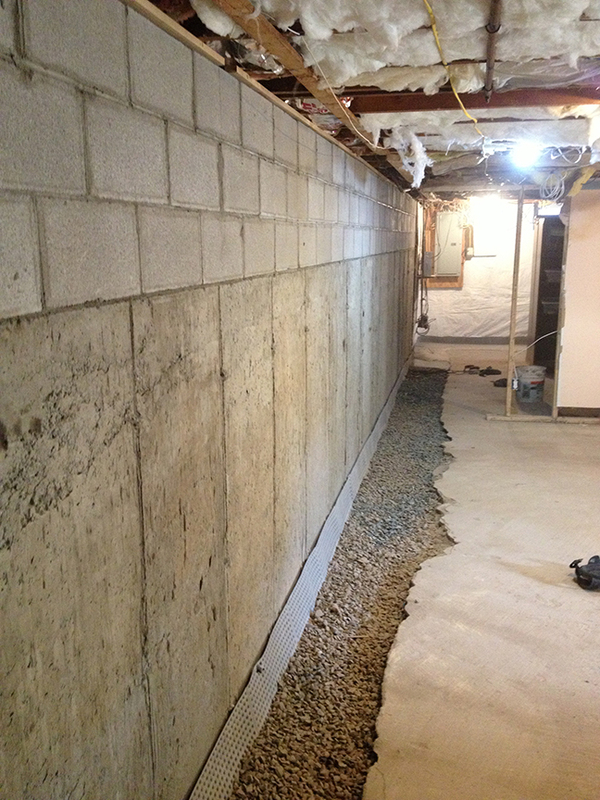 A combination of new cement and cinderblock is most commonly used to recreate the wall, after which time the soil that was excavated earlier in the process can be replaced. Some amount of landscaping work is usually necessary to return the yard to its prior condition. At Real Dry we pride ourselves on taking the utmost care of your property and make every effort to restore it to its proper appearance. 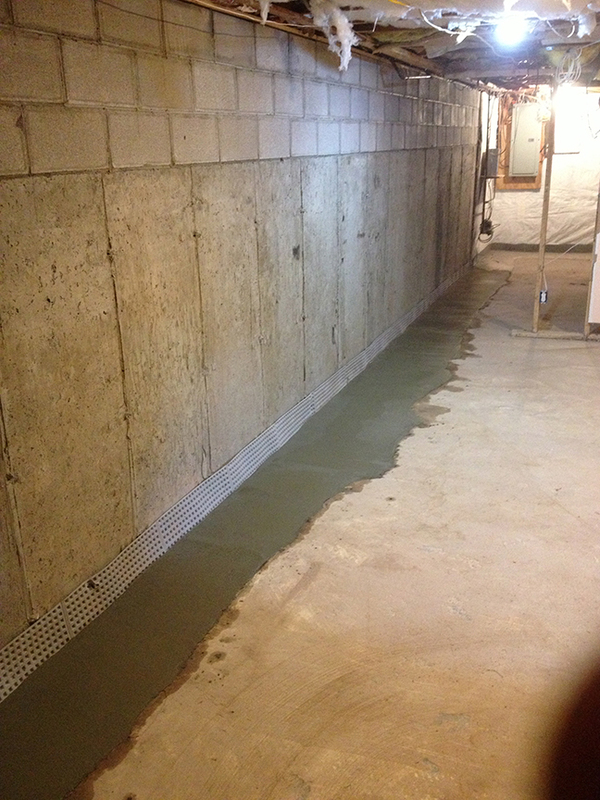 with new, fresh concrete and cinderblock (right). Click either photo to see a larger version. 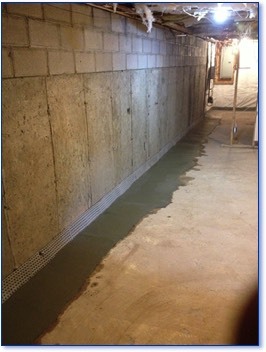 If replacement of part of the foundation is indeed the only solution to fix a bowing or deflected basement wall, it can be a disruptive process by design. 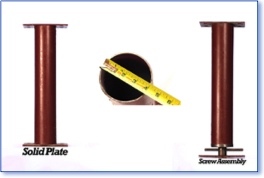 Careful planning is necessary to ensure safety for all involved, as well as the integrity of the housing structure. 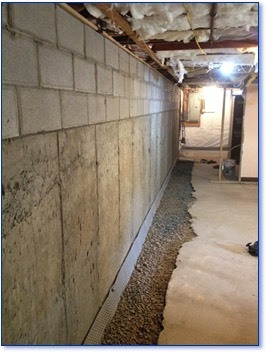 Real Dry has extensive experience performing this method of wall rejuvenation and replacement, and on this page you can see several photos of one such job we performed for a client of ours in Springfield, Massachusetts. 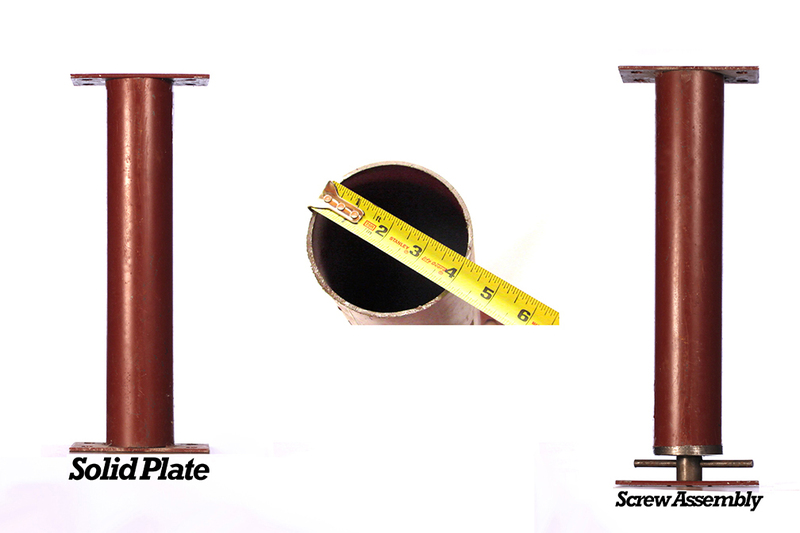 solution can be completed (right). Click either photo to see a larger version. 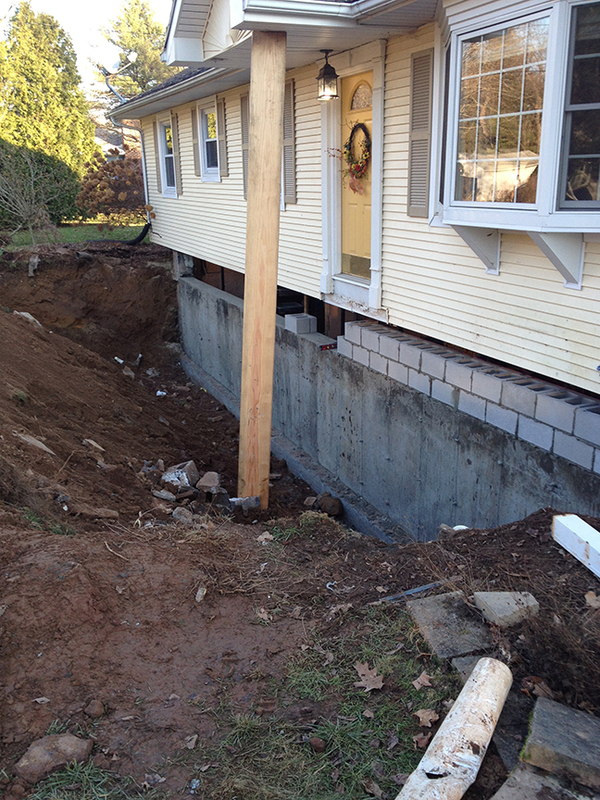 At Real Dry we’ve been fixing, repairing, and entirely replacing basement and foundation wall structures in Massachusetts, western Mass., Boston, the South Shore, Cape Cod, northern Connecticut, southern New Hampshire and Rhode Island for more than 30 years. 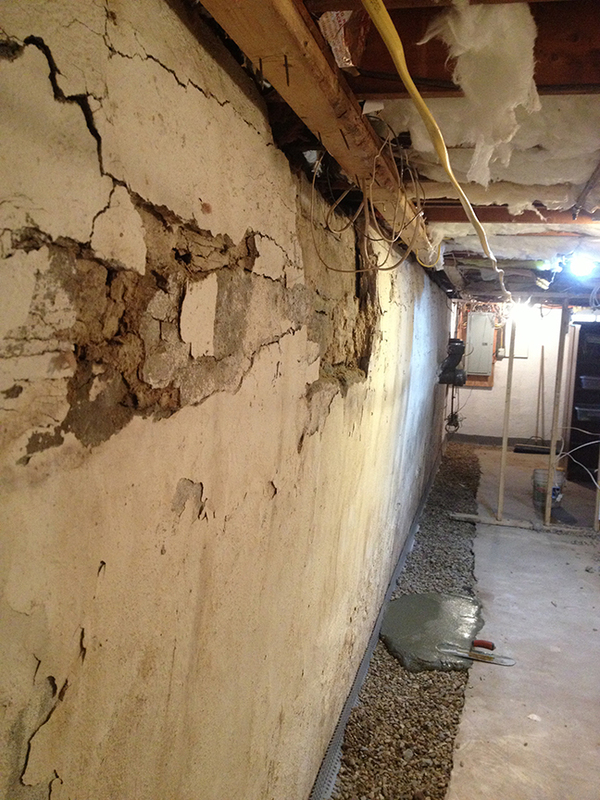 Call us today at 1-855-379-8632 or reach out to us with our Contact Form and one of the two, actual Real Dry owners will be happy to help with your compromised basement walls.